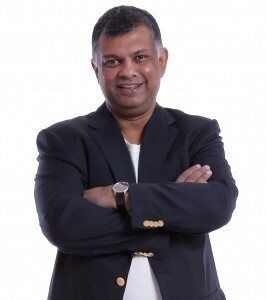 Tony Fernandes -- "Dream The Impossible"
Tony Fernandes is above all things a dreamer. He and his partner Dato Kamarudin acquired struggling AirAsia in December 2001. Despite — or perhaps because — they had no prior airline experience they transformed AirAsia into one of the fastest-growing and most successful low fare airlines in the world. One of the secrets of AirAsia’s success has been its unique culture and management style. Tony works hard to create an environment where each “Allstar” (what AirAsia calls its team members) can learn, grow and achieve his or her own dreams. I caught up with Tony by phone on 12 November 2012. Dream big. Tony’s childhood dreams included running an airline, owning an English football club and a owning Formula One racing team. He attributes being able to achieve all three goals to dreaming big and having the courage follow his dream. Encourage your people to pursue their passions. AirAsia works hard to create an environment where people can learn, grow and do what turns them on. Being encouraged to pursue their passions is is one of the reasons Allstars love their jobs at AirAsia. Break down hierarchy. Encourage people to speak up and get “every brain in the game” by relaxing formality and breaking down walls (literally — AirAsia executives sit with other Allstars in an open floor plan). Be clear about your mission. AirAsia’s mission “Now Everyone Can Fly” animates the Allstars. They know that AirAsia’s low fares make it possible to bring families together, improve businesses and enable people to explore and have new adventures. There is so much more great stuff in this interview. Listen and read below! Send Tony a “Thank You!” tweet! Chris: Hello. I am Chris F. Harvey, in Saigon, Vietnam. I am very excited today to welcome my guest, Mr. Tony Fernandes; Founder and Group CEO of AirAsia. Tony is famous for transforming AirAsia from a tiny struggling airline into one of the top low-fare airlines in the world, and he has done it by creating a unique way of doing business. Good morning, Tony. Tony: Hello, Chris, and good morning Vietnam. Chris: Good morning. Tony, you have really created something special at AirAsia, and I would like to share that with my readers. Maybe we can start with AirAsia’s motto which is, ‘Dream the impossible, believe the unbelievable, and never take no for an answer.’ What does it mean? Tony: That is my personal credo actually, Chris, and it has become part of the DNA of AirAsia, right now. Basically, the first piece is dream the impossible. I am an eternal optimist, and I have always believed that people should pursue their passion. My dream, when I was growing up and I was in boarding school, I had 3 things; this is a side-story here: Recently, I was back there, and one of my old classmates handed me my little tack box which I used to carry when I was there. On the cover were 3 stickers: A picture of a Quantas plane, a picture of West Ham Football Club, and the third one was a picture of the Williams F1 sports car. I looked at the 3 and said, ‘When I was 14-years-old I already knew what I wanted,’ and I have achieved all 3 right now, so I am living my dream: I have an airline. I own a football club, yes, it is not West Ham, I tried to buy them, and they chased me away. I have an airline, F1 team, and a football club, so I am basically living my dream. In AirAsia, that is something we have tried to introduce in the management philosophy, where we want people to pursue their dreams, pursue their passion. A simple thing of how different we are, is that when we hire people I look for two things: The hunger in their eyes and the passion in their hearts. We came from the music business. We did not know anything about airline industry, everybody laughed at us, but it was something we pursued with a passion and a lot of hard work, obviously. We look for people like-minded, like us, the ones who have a dream and want to pursue that dream. Ten years later, here we are. That creed has become part of AirAsia’s creed itself and that is what keeps us going and keeps us ahead of the competition. Chris: What are some of the ways that you help people at AirAsia achieve their own dreams? Tony: For one thing, we are a company that is very different than the traditional hierarchal Asian population. Our workspace is an open plan workspace where nobody has rooms. People can walk up to me any time they want. Two, everybody has my contact number so people from errand boys to the senior management will just call, SMS, and email me directly, and they get problems solved very quickly. You do not need to go through layers of bureaucracy. Thirdly, it is a good opportunity. We make it very clear that if you join AirAsia you do not have to stay where you are, ten years down the road. I will give you a very good example: When we started AirAsia Thailand there was this woman we hired as a flight attendant. A year into it she came and asked me, ‘Tony, I would like to be a pilot. Is that possible?’ I said, Go sit through the classes. If you qualify I will hire you as a pilot.’ She did. She became a first officer and subsequently she is now a full-time captain and flying the plane. Another time she came and asked me, ‘Tony, a lot of people tell me that I am very good looking. Can I enter the Miss Thailand contest?’ I said, ‘Yes, sure. As long as you go in there, you [inaudible] for life if you win it.’ She did, and she won. Then she placed 5th in the Miss Universe contest that year. While other airlines can talk about their cabin crew and their staff and whatnot, we are the only airline in Asia that can tell you that we have a Miss Thailand flying you around. Me and the Allstars on the way from Saigon to Bangkok on 21 Nov 2012. Chris: Wow. When you treat people like that, and you give them those opportunities, it must set a really powerful example inside the company. What I found is when someone sees someone else get promoted or move higher, they put themselves in that position. They think, ‘I can do that. If she can do it I can do it, and there is opportunity for me here,’ and it is so powerful. Tony, I have another question for you. This is such a powerful thing to promote from within and train, and it sets such a great example and gets people excited and motivated. Why don’t more managers do it? Tony: I cannot answer that, you got to ask them. There is nobody out there like us. When Dato Kamarudin and I came into AirAsia we came with a very different philosophy of management. We wanted to build a family company, a company where our people would be treated as family. We wanted to build a company where there is no hierarchy, people can approach their boss or whoever they wanted. That is why AirAsia is not a one man show; we have 10,000 big brains working for us. For me, it would be ridiculous if I had all the talent in-house and I did not use it. I mean that would be such a waste wouldn’t it? That is why we came in and we decided this is the way it is going to be. Yes, it was very different than most other companies in Asia at the time. I do not have a corner office and five dragon ladies protecting me and keeping off everybody else. I am in an open office, anybody can just walk up. We deliberately set it up that way and we deliberately decided that we wanted a company where people can pursue their passion and we wanted to make use of all the talent that we have in-house. 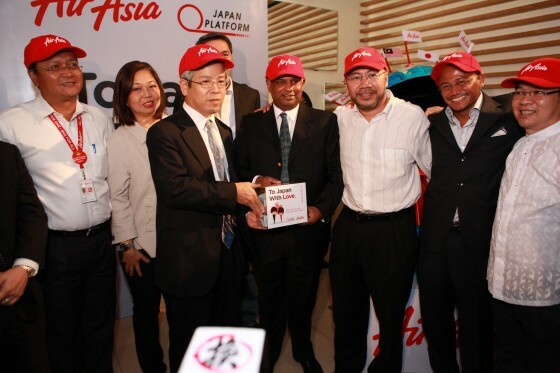 The idea that unites all of this and makes it possible is the culture that we have in AirAsia. I am a big proponent of promoting a specific culture within a corporation. The culture that we have stems from the credo that you mentioned. It stems from the fact that we want openness and we want people to be creative and passionate about what they do. In order to do that, we’ve got to inspire them. For us, the inspirations are very simple. That slogan that we have, the tagline that we have now, ‘Everyone can fly,’ is not just a catchy slogan; it is what we actually do. It is a mission that we set ourselves to do and it is a mission that inspires us inside. We work everyday not just to fill up seats. We work every day because we believe in enabling people to fly because when you enable people to fly we bring families together, friends together, and children and parents together. Although sometimes, the children complain too much because they want their parents as far away as possible, but now that mom and dad can come visit them every weekend. We bring families together. You enable people to realize their dreams. In AirAsia we consider ourselves basically a dream factory. I am living my dream. My partner, Dato Kamarudin and I are living our dreams, so we want to make sure that everybody gets to live their dream, as well. Ten years ago you can dream of flying from, say, Balikpapan in Indonesia to Seoul. Suddenly, a kid turns to his dad and asks, ‘Dad, can we go Seoul?’ The dad has to call a travel agent and comes back and says, ‘Son, it is just too expensive. We cannot afford it.’ Today, that same kid can ask his dad, dad just logs onto AirAsia.com, and says, ‘Yes, son. There is a flight from Balikpapan to Kuala Lumpur. From Kuala Lumpur I can take AirAsia X Seoul, and the fares are so low, that on AirAsia X, I can even afford premium seats. The little 12-year-old boy gets to go and experience Gangnam style for himself. Chris: These ideas are really powerful in showing people that they can succeed and grow, and breaking down hierarchies does create a more committed workforce. Why do you think more managers do not do this? We know it works. AirAsia is a wonderful example. Why do more managers not embrace these ideas? Tony: Part of it, like I said, is culture and you have to have the confidence to go and challenge that culture. At AirAsia we are a meritocracy — ethnicity, creed, age, and gender do not matter. If you are capable, we promote you or we hire you. We do not care who you are, where you come from, what your individual preferences are. Your hairstyle is your own business. We are not interested in everybody conforming and become a clone of everybody else, so it is a very different way of looking at it. I think the timing was right that we started this, even though I have always believed in this, do not forget the tenor of the times are changing now. You are dealing with a very different generation, the millennium generation, and I think the culture we have in AirAsia suits that generation. Tony: Not everybody who joins AirAsia is comfortable working with us. There are people who have joined us, and after a couple weeks they leave because they just cannot fit in this other culture. They want a very structured corporate culture, and we do not have that. Chris: Tony, you have really distinct ideas about culture and a very clear vision. Do you have any role models that influenced your leadership philosophy or development? Tony: In terms of culture, I look at companies like Coca-Cola. Coca-Cola is a global multinational, one of the top brands of the world. What do they do? They bring their top country’s CEO and managers into their headquarters, in Atlanta in the U.S., maybe once a year for 3 weeks of in-house training. By the time they leave, they leave not as a Belgium-national, Chinese-national, or Kenyan-national, they leave as a Coca-Cola national. It is the same thing that I want to do. We have an academy here in Kuala Lumpur, which we started way back when we first took over AirAsia, because I believe strongly in training and cultivating our own resources. When they come here, they stay with us for a month, and they leave with the AirAsia culture in them. It is a challenge always to maintain this. The other thing that I admire about Coca-Cola is their branding, they are a global brand. I would like AirAsia one day to become a brand as well known as Coca-Cola. Chris: I think you are well on your way. Tony and the Allstars at his birthday. Chris: I am a big fan. When I first started following you, Tony, was over 6 years ago. I was flying AirAsia, and I asked one of the cabin crew, ‘Do you know Mr. Tony?’ Her eyes lit up and she said, ‘Oh yes! I’ve met Mr. Tony. He is great!’ I thought, ‘Wow. This is someone who has created something really special,’ because you touch people. People feel passionate about working at AirAsia, and that is a very special thing. Tony, you talked a lot about passion, that is key to what you are doing at AirAsia, and also key to choosing a job or a business. How did you learn the lesson that passion is so important? It is something in me that I have always dreamed of what I wanted, and then set about how to do it. I think if I can pass that on to others and let them know, ‘Just pursue your passion and success will come chasing you after that.’ You do not go for success, you go for excellence, you go for the passion. You know that old thing they say: If you love what you do, you do not work a day in your life. That is the thing that I try to live by and try to pass on to everybody I come in contact with, be it my staff, my AirAsia Allstars, my senior managers, the businessmen and politicians that I meet, or the students I go talk with every now and then, which I love doing by the way. It is the sort of thing I enjoy doing. I have made it work for me, so why can others not make it work for themselves? Chris: I could not agree more. When you follow your passion, the success follows. You cannot focus on success; you have to focus on passion. Last two questions, Tony. You talk a lot about competition. I saw an interview with you where you said entrepreneurs are going to drive Asean forward. What did you mean by that? Tony: What’s going to happen in Asean is that they are moving towards economic integration and that is going to happen. Whether the governments like it or not, that is going to happen, it is just a question of how fast and how smooth. Governments have a decision to make, either they stay where they are and they become protectionist and nationalist or they can expand their perspective and begin a new mindset and start thinking regionally instead of nationally. Asean integration is going to happen. Now, with the Asean Economic Community initiative that is supposed to come into force in 2015, together with the Asean Open Skies at the same time which is going to help Asean economic integration. There is going to be a fundamental shift in the way Asean operates. Tony posing with the jersey of his football team. Asean started in 1967, and for the last 45 years it is been directed, governed, and run nationally, mainly by national governments, and necessarily so. They needed to build the trust, the building blocks, and the bonds within the countries in this region. Only government leaders could do that at the time. sector in Asean also initially was not in a position to actually totally capitalize on this shift. Right now, I think the private sector in Asean has reached critical mass. I think that companies in Asean are already thinking regional, not just national. I think we are now in a position where after 2015 with all these initiatives coming into play, the companies that are ahead of the game and thinking regional rather than national are the ones that are going to be prospering much more. Let’s face it, even the biggest country in Asean is Indonesia with 240 million in population. It is a huge market. But Asean, as a region, has 600 million population. Tony: Yes, 20% of 600 million population. If you can get 20% of the market, it is huge. I think that is what is happening in the private sector, people are looking ahead at the region. All they are looking for is for the government to put everything in place and get the policies in place, and that is why I say it is going to be entrepreneurs and the corporate sector that will driving us from 2015 onwards. Chris: Yes, I could not agree more. I am here in Vietnam, and Vietnam needs more competition. Competition makes everybody better. How do you know if you are winning if you do not have a competitor? It makes people grow, also. Tony: Two things — competition increases the efficiency and lowers the cost for companies. And competition provides consumers with more options. Chris: Yes, I could not agree more. Competition is a great thing, and it is fun to win. All right. Last question. Tony: It is fun to play the game; it is in how you define winning. Chris: It is fun to play the game and see how good you are when you have a good competitor. Last question, Tony. What advice might you have for aspiring or new entrepreneurs who may be listening to this interview? Tony: The same thing that I say in my creed: believe the unbelievable, dream the impossible, never take no for an answer. You got to keep knocking on the door no matter how many times you are turned away. You got to figure out ways of how to make your dream a reality. It is not just talk about, ‘I have a dream, and I am going to do it. I have a dream and that’s it.’ No, you have got to work towards it. You have got to set yourself a goal, set yourself some targets, and figure out how you are going to do it. It is hard work; it is not for the faint hearted. If you are passionate about it, it does not become work it, just becomes a joy to do. Chris: I think you are a great example, Tony, and inspiring. You had three stickers on your lunchbox: F1, a football team, and a big plane, and you made all those dreams happen. I am sure there are a lot of people along the way who said, ‘That will never happen. You can never do that. It is too tough to compete in Asia, in the airline business.’ If you listen to people who say it cannot be done, then you will never do anything. I think entrepreneurs are those who do not listen but take calculated risks and persist, and you are just, I think, an inspiration to entrepreneurs everywhere. Tony: Thank you Chris. That is true in business, but that is also true in life. If you keep listening to people who say, ‘No, you cannot do it,’ you are not going to get anywhere in life. Chris: Yes. That is one lesson I have learned. There will always be people who say you cannot do something, and you have to ignore them and move forward. Tony: Yes, look at yourself. Chris: Yes. People thought I was crazy when I said I was moving to Vietnam. I became CEO of a company. I never thought that was going to happen. Tony: I was called worse names in my earlier days. Crazy was just about the mildest thing! Chris: I was thinking, ‘Who can I interview that inspires me?’ I thought Tony Fernandes. I was persistent, I did not give up, I kept contacting your office, and you graciously agreed to talk to me. Thank you, Tony, so much for your time today. Thank you for being you, and thank you for doing what you have done at AirAsia. Tony: Thank you very much, Chris. I enjoyed the chat. Chris, This is so cool that you got to interview Tony. I really love Tony’s enthusiasm. It’s encouraging to see someone still so passionate after his success. Yeah it was cool. Tony is an amazing leader and a great guy. I felt like I was talking to an old friend. His enthusiasm and belief in people are incredible. Next time you’re on an AirAsia flight, ask the flight crew what they think of Mr. Tony. You’ll see their eyes light up. How many other CEOs inspire that kind of reaction? That is outstanding leadership. Chris, thanks so much for conducting this interview. I have also been fascinated with the success of AirAsia, Tony Fernandes, and the culture that has been created with his airline. It’s been a dream to become a part of company like that and an ultimate childhood dream of mine to become an airline pilot. This interview has pushed the drive for me to continue flight school. Thank you. Hey Mark, I’m glad you liked it. Tony is the real deal. He didn’t know me from Adam yet agreed to spend 30 minutes on the phone with me while on business in the USA. Talking to him was like talking to an old friend. 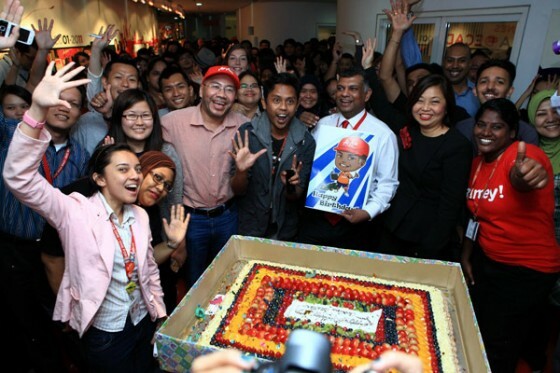 He has created an incredible, inspiring culture at AirAsia. And congrats on your commitment to continue flight school! There’s nothing like flying. I fulfilled all the requirements for my private license but moved abroad before taking the test. Never forget the exhilarating feeling of my first solo cross-country flight. I like Tony’s attitude. I seriously think all the CEOs ot there should really take Tony’s actions as an example. Thank you for doing this interview , it motivated a lot as I’m currently following my dreams to become as successful as Mr.Tony himself. Tony is an inspiring leader. He motivates me too. hey! i’m doing reseach for tony’s leadership style assignment. may i know how to do cititation from your post? Not sure what you mean Yong Yee — cite away! i mean i’m doing a reseach paper about tony fernandes.i found out your interview is useful for my reseach. how can i do citation when i copy from your interview post. If your research paper is online, I’d appreciate if you’d link back to this post. Thanks Yong Yee. MR TONY …..Please refund my money,its 3 months now. I hate to pay for such unprofessional service, where i was promised by Mr Frank that he will refund the money & until now Nothing.